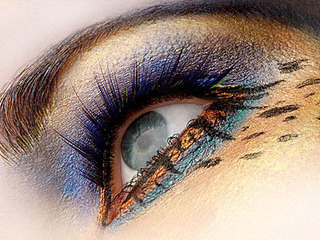 You can use eye makeup up tips and tricks quickly and easily when you know what to do. Make up application for your eyes is not nearly as hard as it might seem. 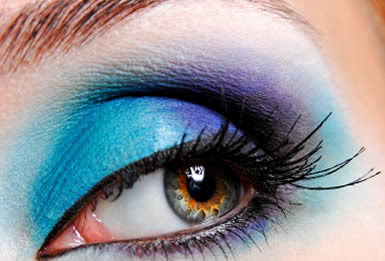 Once you learn a few simple methods, mistakes can be avoided and eye make up can be applied quickly and easily. After all, the eyes have it all! Everyone looks at our eyes and we look back with our eyes. Paying a little more attention to them will give you a little more attention! Think about how you use your eyes when you scan a room full of people. Other people are doing the same thing, so you need to give them something memorable to look at, right? Nobody has the exactly the same eyes. We all have different eye colors, shapes, and dimensions. There are however, some general tips that everyone can use and benefit from using! Apply a thin layer of foundation or primer on the eyelids to correct imperfections and create the perfect color canvas. Remember, you are painting a picture and you are the artist. Primer simply sets the mood for makeup application. Set lids with a light translucent powder if you are using powder eye shadow. If you’re using a cream shadow or pencil shadows as they apply more easily over primer/foundation only. Choose your color palette. To make the eyes look lush, use eye colors that blend well with your hair color. If you have auburn or red hair, use copper, peach, or reddish brown tones. You an also use pinks or lavender colors to enhance the red tones in your hair. If you have brown hair, use dark brown, chocolate, or gold colors. Those with blonde hair should wear ice blue, taupe, white, or cream colors. If you’ve got gorgeous gray hair, use a gray color or baby blue or light purple color. Apply one shadow color to the entire lid. Neutral tones work best. Apply a darker color in the crease of the eye. To make eyes pop, extend the line slightly beyond the crease of the outer eye. This makes your eyes look larger. If you want deep set eyes, extend the line slightly beyond the crease again, but move the line up to the brow bone. 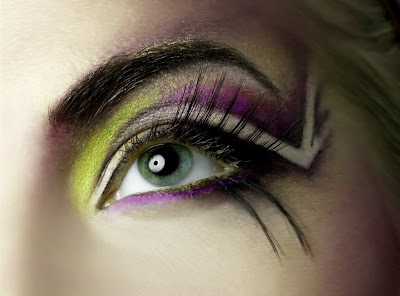 If this isn’t enough yet, add a dark colored pencil or shadow line to the top of the eyelid along the lashes. Carry the line out to the corner of the eye, or slightly beyond. To increase the intensity even more, use an angled shadow brush and brush a darker shadow color under the eyes using short downward strokes below the lower lashes. Don’t draw a line though, as that detracts from the look. Apply a highlighting color to the brow bone. Use light colors, such as white or cream. For added definition, dust your entire eyelid with a light to medium neutral tone. Using a larger shadow brush, apply loose translucent powder to the entire eyelid to help set and blend. 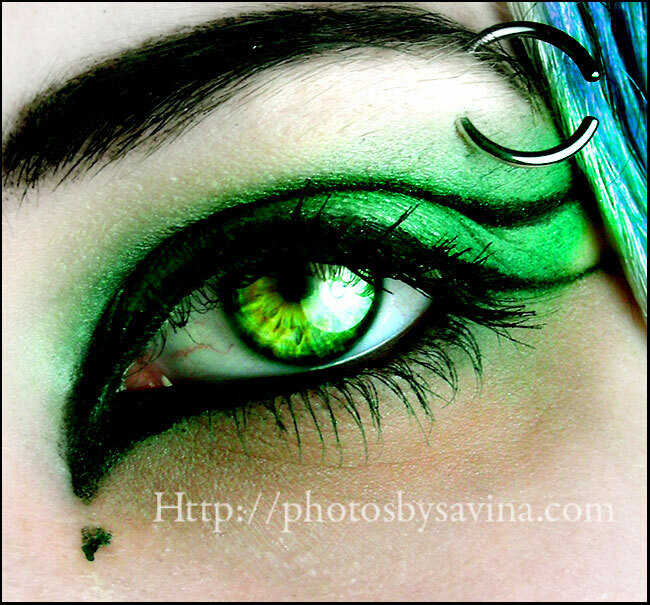 When your eye color is complete you shouldn't be able to see where any of the colors begin or ends. Add mascara and brow pencil, as needed!